Ms. Aboubakrine is a medical doctor from Tombouctou in Mali. She holds a degree from University of Tizi-Ouzou (Algeria) with several researches in ophthalmology, obstetrics and gynecology, pediatrics and general medicine. She also holds a Masters in Humanitarian Action from the University of Geneva, focusing on interventions in crisis: armed conflict, marginalization/exclusion and natural disasters. The latter part of her studies focused on “The role of traditional medicine in Tuareg Mali. Mariam is a member of Tin Hinan, a women association working for the defense, promotion and development of indigenous peoples in Africa, in particular the Tuareg. Mariam has been a very active member of this organization since she was young and has worked on many issues related to health such as nutrition, malaria prevention, and education on sexual and reproductive health among the Tuareg. She participated in training on ILO Convention 169 and several times in the Expert Mechanism on the Rights of Indigenous Peoples. She also volunteered with African NGOs for advocacy on Human Rights at the regular sessions of the Human Rights Council of the United Nations and the Universal Periodic Review in Africa. She is also an independent consultant on gender issues, health, and conflict resolution / peace agreement in indigenous communities. Ms. Nuorgam is a long-term Saami politician, who holds a Master of Laws degree and is a currently a PhD student at the University of Lapland. She has been a member of the Saami Parliament of Finland since 2000 and is also head of the Saami Council’s Human Rights Unit. Ms. Zhang graduated from Zhejiang University and further studied in the Graduate Institute of International and Development Studies in Geneva during late 1980s. She has been in Chinese foreign service for 29 years and has rich experience in multilateral diplomacy especially in the UN affairs. She was posted to the Chinese Permanent Mission to the United Nations in New York from 1991-1995 and 1999-2003. Later she served as the Deputy Head and Counselor of the Chinese Embassy in Israel for 5 years. 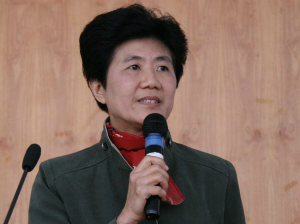 She was the Vice-President and Director-General of the UN Association of China from May 2010 to Jan 2014. Now she is the member of the Executive Board of the United Nations Association of China. Dmitrii belongs to indigenous people izhora. He has PhD in Law. Working in different universities Dmitrii has got a strong academical background. He currеntly works as practicing lawyer. 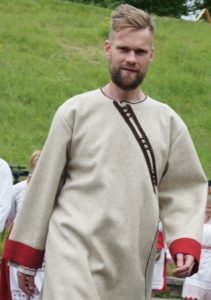 Meanwhile Dmitrii is a Board member of Regional National-cultural Autonomy of Ingrian Finns and Board member of Community of small-numbered indigenous people Izhora “Shojkula”. Dmitrii has ample experience in indigenous issues and interrelations with authorities at multiple levels. Since 1995 he has been engaging activities devoted to protection of national minorities and indigenous rights, indigenous life environment, support and development of indigenous peoples’ languages and culture . 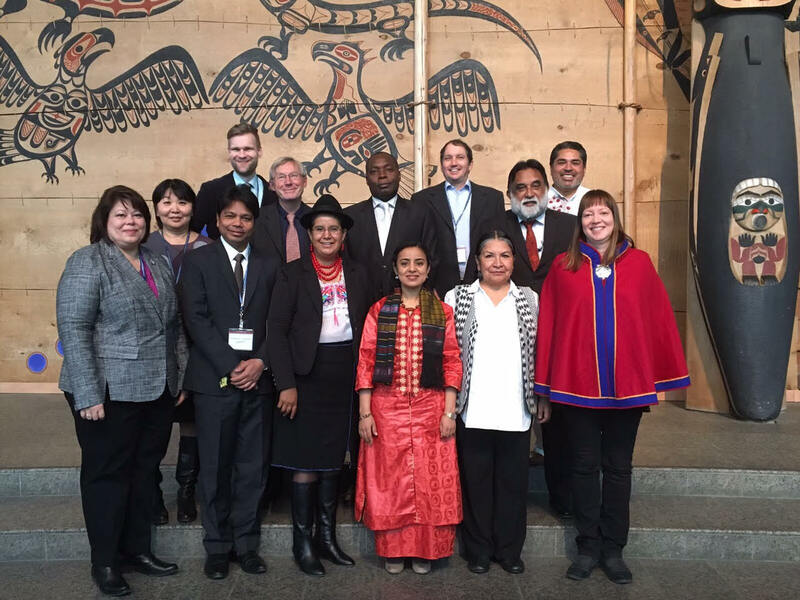 He also has been leading and participating in different international and regional social projects dedicated to support of indigenous peoples. The Council of the Kindred People’s Programme decided to award the 2015 Ilmapuu (World Tree) Prize to Dmitrii Kharakka-Zaitsev for preservation and development of izhorian culture and protection of izhora traditional environment. Tarcila Rivera Zea is one of the most recognized indigenous activists in Peru and the world. She is a recent appointee to the UN Permanent Forum on Indigenous Issues and a member of the UN Women’s Civil Society Global Advisory Group. Among her achievements are the founding of the Continental Network of Indigenous Women of the Americas, ECMIA, and the International Indigenous Women’s Forum, FIMI, both important networks that promote leadership and political participation of indigenous women around the globe. Mrs. Rivera Zea is founding president of CHIRAPAQ Center for Indigenous Cultures of Peru, an association that for 30 years has promoted the affirmation of identity and recognition of the rights of indigenous peoples. 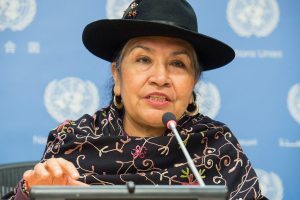 At the regional level, she promotes cooperation between indigenous organizations for participation in the UN Climate Change Conference of the Parties (COPs) and is an active member of the International Indigenous Peoples Forum on Climate Change (IIPFCC), the Indigenous peoples’ caucus representative body that follows the UN Framework Convention on Climate Change negotiations. She received the Visionary Award from the Ford Foundation and the Wisdom Fellowship Award from the Sacred Fire Foundation, and has been recognized by the Ministry of Culture of Peru for her contribution to the defense of indigenous cultures and UNICEF for her dedication to ensuring the rights to indigenous children. Brian Keane has been working with indigenous communities around the world for nearly three decades. He is co-founder of the international organization Land is Life, and is currently serving as Advisor for Indigenous Peoples’ Issues for USAID. Born on June 12th, 1964, in Kalmykia, Russia. In 1985 graduated from the Kalmyk State University (Elista). From 2002 till present works for the Ministry for Foreign Affairs of the Russian Federation in the capacity of Senior Counselor of the Department for Humanitarian Affairs and Human Rights. Ms. Mukabenova is in charge of following issues: lawmaking in the sphere of inter-ethnic relations, analytical activity on problematiqué of national minorities and indigenous peoples and combating racism, xenophobia and discrimination, cooperation with ethno-cultural non-government organizations, implementation of measures on protection of culture, education and media of national minorities and indigenous peoples. Ms. Mukabenova is a leading expert on inter-ethnic relations and the author of a number of publications on minorities and indigenous populations. She is a recognized authority among the Permanent Forum experts and maintains regular contact with Russian and international indigenous organizations. Jens Dahl is a social anthropologist. He has taught Inuit and Arctic studies at University of Copenhagen from the 1970s to the 1990s and been director of the International Work Group for Indigenous Affairs (IWGIA). From 2007 he has been Adjunct professor, Department of Cross-Cultural and Regional Studies, Univ. of Copenhagen, in charge of a major research project. He has published extensively on Inuit and indigenous issues. Since 1989 he has followed most meetings in the United Nations, including those that led to the establishment of the Permanent Forum on Indigenous Issues, the Expert Mechanism on the Rights of Indigenous Peoples and the adoption of the Declaration on the Rights of Indigenous Peoples. Elifuraha Laltaika is the executive director of association for law and advocacy for pastoralists (ALAPA) and a law lecturer of Tumaini University Makumira (Arusha, Tanzania). He previously served as a Harvard Law School visiting researcher. He holds a Doctorate in Law from the University of Arizona (USA). Elifuraha is an expert member of the United Nations Permanent Forum on Indigenous Issues (UNPFII) and a member of the Tanzanian national Bar association (Tanganyika Law Society). Mr. Laltaika has 10 year’s experience working on indigenous peoples’ issues, including as senior fellow at OHCHR in Geneva. He is currently employed as a Lecturer in Law in Tanzania. Mr. Gervais NZOA brings 27 years of professional experience on indigenous issues. He has master’s degree in public law of the former University of Yaoundé (Cameroon), a degree in technical development framework, a Diploma of Specialized Studies and certificates from the Pan African Institute for Development, Central Africa, Douala Cameroon. He obtained a certificate in environmental impact study of the Institute of Energy and Environment of the Francophonie (Canada). He specializes on Climate Change at the Institute of the World Bank and obtained a Certificate on Climate Change Capacity Development Initiative Course. Prior to his appointment to the post as independent Expert to the Permanent Forum on Indigenous Issues (UNPFII) at UN Headquarters in New York (April 2013), he developed his career as a specialist development program line between other functions Responsible rural animation farmer organizations and grassroots communities to CEDAC Sangmelima, Cameroon (1994-1999); Facilitator Zone 3.2. regional and community compensation of Chad-Cameroon Pipeline Project (2001-2002); News anchor for the coordination and synergies on development issues CERAD, Cameroon (2001-2002); Consultant in social sciences for the analysis of poverty and vulnerable groups to the United Nations Human Settlements Programme (UN-Habitat) 2002-2005; Coordinator of the Center for Support of Local Development Alternatives, Cameroon (2004-2010); Program manager for the pilot to support local sustainable development in the border area of eastern Cameroon to the United Nations Development Programme (UNDP) project 2010 – 2012. He is a strong advocate of indigenous capabilities; consolidating social and community cohesion through unified projects; and designs, and support indigenous development programs. Mr. Nzoa has been intensely following the implementation of the final document of the World Conference on Indigenous Peoples, the United Nations Declaration on the Rights of Indigenous Peoples, the Convention 169 of the ILO as well as the jurisprudence of UN bodies on the rights of indigenous peoples; He studied economic, social and cultural status of indigenous peoples and published research works on indigenous issues. Mr. Malezer is an indigenous advocate since 1970s. 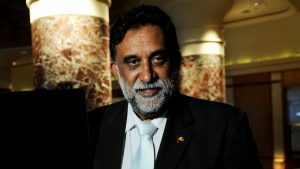 He served as co-Chair of the National Congress from 2011-2015 and has extensive experience advocating for indigenous peoples’ rights at the national and international level. In 2014 he was appointed as an Adviser by the President of the General Assembly in conducting consultations on the outcome document of the World Conference on Indigenous Peoples. Ms. Tiban is one of the most outspoken advocates for freedom of expression, indigenous rights and social rights in Ecuador. Ms. Tibán is a lawyer and has Master’s degrees in economics and social sciences. She has served in a wide range of government positions and has been involved in the Ecuador’s Confederation of Indigenous Nationalities (CONAIE), founded in 1986. CONAIE created its own political party, Pachakutik, in December 1995 through which she was elected for two terms (2005-2008 and 2009-2011) as a member of the National Assembly (Congress) of Ecuador. 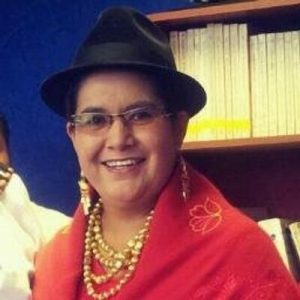 Ms. Tibán was elected as the first female candidate of Pachakutik to the presidency of Ecuador in the 2017 national primaries. Mr. Safaei currently is Senior Advisor to Vice-Minister for Political Affairs at the Ministry of Foreign Affairs. He has extensive experience on multiple issues, dealing with a number of international organizations such as the UNHCR, UNICEF, WHO, IMO, FAO, WFP and UNESCO. He served as Deputy Director of the Department for the United Nations and International Specialized Agencies for more than a decade dealing with wide range of issues including those related to refugees and migrants, health, children, culture, education, and science from a policy perspective in multilateral and multicultural environments. During his almost three decades of service at the Foreign Ministry, he has been assigned to Iran’s Permanent Mission to the United Nations office in Geneva (1989–1990), and Permanent Mission in New York (2006–2010 and 2014–2018) and to the UNESCO in Paris (1996–2001). His experience with UNESCO is marked with the international negotiations on three major international instruments in the field of cultural rights namely: Universal Declaration on Cultural Diversity, UNESCO Convention on the Protection and Promotion of the Diversity of Cultural Expressions; and the UNESCO Convention for the Safeguarding of the Intangible Cultural Heritage. Mr. Chaudhary works as a programme manager for the Nepal Laborious Society Center. He participated in the OHCHR indigenous fellowship programme in 2015. Mr. Fuentes Blanco is indigenous Mixtec from Puebla, Mexico. He has extensive experience in indigenous issues and public policies aimed at indigenous peoples at the national and international level. 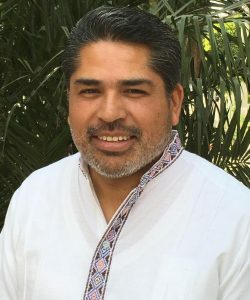 He studied accounting at the National Autonomous University of Mexico (UNAM) and is the current president of the Consultative Council of the National Commission for the Development of the Indigenous Peoples of Mexico (CDI). Ms. Henry currently served as the Secretary of State for the Eastern Band of Cherokee Indians. Ms. Henry is well known for championing sovereignty issues on behalf of her nation, the Eastern Band of Cherokee Indians, and all Indian nations at the national level. She provided national leadership on the passage of historic United States laws strengthening the sovereignty and self-governance of Indian nations. Ms. Henry founded an organization, the National Congress of American Indians Task Force on Violence Against Women, which she currently co-chairs. She is a founding member and first Board Chairperson of the National Indigenous Women’s Resource Center and currently serves as the Board Chair of the Indian Law Resource Center. Ms. Henry was elected to six consecutive years on the Eastern Band of Cherokee Indians Tribal Council (2009-2015), the last two years of which she served as the first Chairwoman of the Tribal Council (2013-2015). During this term, she had the distinction of also being the first Chairwoman of the Tri-Council of the Cherokee Nations. Over the years, she has played a key role in developing and strategizing the grassroots movement addressing violence against American Indian and Alaska Native women and supporting passage of two seminal federal laws: the reauthorization of the Violence Against Women Act of 2013, including its previous iterations, and the Tribal Law and Order Act of 2010. She has been privileged and blessed for almost 25 years to work with many American Indian tribal governments, to travel throughout Indian country across the United States and abroad, studying and working at the United Nations both in New York and Geneva, and advocating for the human rights of indigenous peoples and in support of the Declaration on the Rights of Indigenous Peoples and other international instruments. In 2008, Ms. Henry was one of the co-authors of an amicus brief in support of Jessica Gonzales concerning the failed response of the police. Ms. Henry grew up working in her parents small business and is also the owner of a non-profit small business. She also owned and operated a for-profit business. Ms. Henry’s educational background, small business and professional experience coupled with her Cherokee life experience has given her a unique perspective from which to analyze legal and tribal governmental issues.